In a bowl, mix mayonnaise, chives, parsley, basil and lemon juice. Keep aside. In another bowl, mix soy sauce, birds-eye chilies and ginger. Set aside. Combine lime juice and fish sauce in another bowl. Add sugar and stir well to dissolve it. 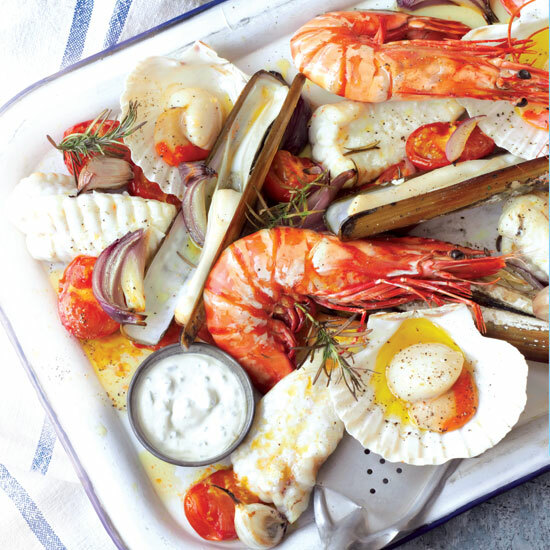 Take a large platter and place prawns, kingfish and oysters on it. 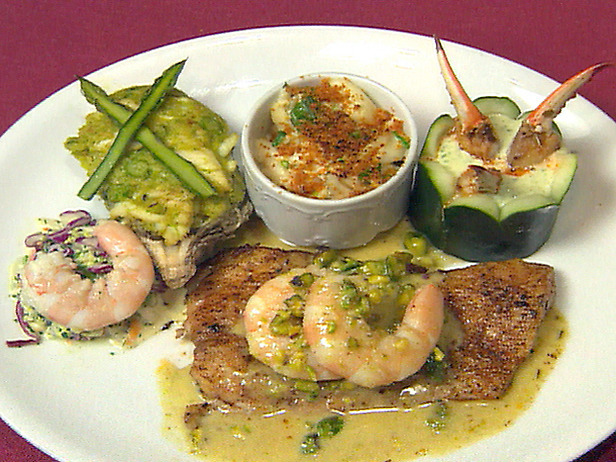 You can also arrange individual serves by placing 2 prawns, 2 oysters and 3 slices of kingfish on each plate. Spoon some mayonnaise sauce over the prawns. Pour some soy dipping sauce in a shallow bowl and serve with kingfish. Add the coriander leaves to the lime juice mix and pour some over the oysters just before serving.